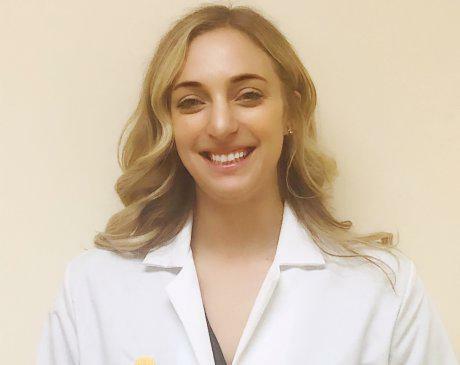 Christina de Leon, PA-C is a board certified physician assistant who provides exceptional dermatological care to patients of all ages at Easton Dermatology Associates, a leading dermatology practice in Easton, Maryland. Christina has a passion for dermatology and offers medical treatment for a variety of skin, hair, and nail conditions. She takes special interest in treating acne, skin cancer screenings and educating patients on preventive measures. Christina obtained her Bachelor of Science in biological studies at Clemson University in Clemson. South Carolina. She went on to obtain her Master of Physician Assistant studies at CUNY School of Medicine in New York, New York. She graduated in January of 2019 and was awarded the Scientific Research and Writing Award for her research on HPV testing. 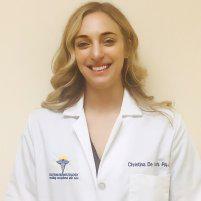 Christina is accredited by the National Commission on Certification of Physician Assistants, and is a member of the American Academy of Physician Assistants. She’s also a fellow of the Society of Dermatology Physician Assistants and is currently working towards becoming a diplomate of the society. She regularly enhances her education by attending national conferences and specialized training seminars. Growing up on the Eastern shore, Christina enjoys any activity that involves water. She is a certified advanced open water scuba diver who loves traveling and exploring new places/cultures. In her free time, Christina loves hanging with her dog, River, and cooking meals for her family and friends.